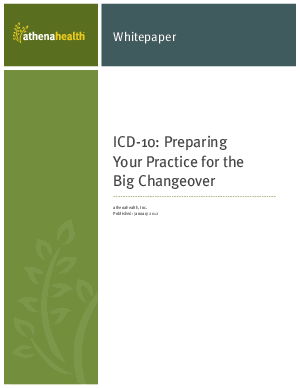 On October 1, 2014, the health care industry will adopt the ICD-10 code set for reporting diagnoses and procedures to payers. This new code set increases the number of reporting codes from about 13,600 to roughly 69,000 and it represents a dramatic increase in the level of reporting detail and granularity. While you should prepare for this transition, your medical billing, practice management and EHR vendor should be working hard right now, with you and payers, to adapt your system for this changeover.